It has been four years since the massive triple disaster struck Japan. In some ways much has changed, in others, problems continue to drag on. Over the last year TEPCO managed to finally remove all of the spent fuel from the unit 4 spent fuel pool. This serious risk has now been removed with the fuel residing in the much safer common fuel pool. TEPCO has since focused work on steps needed to prepare for the removal of spent fuel at unit 3 and unit 1. There have also been numerous problems at the plant with contaminated water. Various fixes are being installed but it isn’t yet clear if any of them will stop the problem. Numerous other challenges still exist at the plant and beyond. In this report we revisit the situation over the last year both at the plant and the human and social impact of the disaster four years on. The true state of the melted down reactors at Fukushima Daiichi is still not clearly understood. Like Schrodinger’s cat, we won’t know the state of the reactors until we can look inside. Unit 1 received a scope inspection into the containment structure in previous years that had limited usefulness. Both scopes and robots have been sent into the torus room of unit 1 more recently. These have discovered some areas where there is evidence of damage, high heat and high radiation. Human entries into the reactor building have found obvious damage but nothing that became a piece of major new evidence. Closer camera inspections of the unit 1 refueling floor did find that the concrete reactor cover was partially dislodged. The extent of this may not be fully understood until they clear the debris off of unit 1’s refueling floor. The muon scan of unit 1 that will attempt to image the reactor vessel to determine if any fuel remains within it began in February 2015. This work should be completed in mid-March 2015. A robot inspection inside the containment structure of unit 1 is planned for this spring for unit 1. If successful, this inspection could give significant clues to the extent of the meltdown damage. Unit 2 has had two scope inspections in previous years. These found little water in the floor of containment. This also found evidence of very high heat and steam. The second scope inspection found the control rod drive rail was severed near the reactor pedestal and signs of dark charring or corium near the pedestal opening for the rail. Robot inspections of the torus room found it almost pristine in condition. Radiation levels inside the torus room are low by comparison, with quite high radiation found in containment. So far no evidence of leaks into the torus room or from the torus tube in unit 2 have been found. This was assumed early on as the location of a noise during the meltdowns. To date no evidence of damage in the torus room has been found but more inspections may be conducted. Unit 2 is known to have high radiation on the refueling floor and produced considerable radiation releases to the air until TEPCO closed the blow out panel opening and installed a filtration system. The location and condition of the melted fuel in unit 2 is not known yet. A muon scan of this unit is planned for this spring with a robot inspection of the containment structure also planned for 2015. Unit 3 has had very limited investigative work. Some very limited entry into the ground floor areas has been conducted. 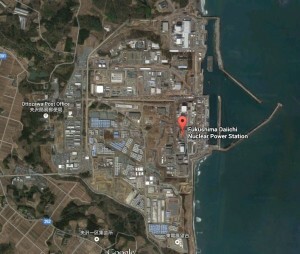 These found highly radioactive small water leaks at both containment entry air locks. Work was also conducted to send a robot into the torus room. This found evidence that appeared to have been from the massive blast in the building. The robot was lost and TEPCO has yet to release the full video of that inspection work. A robot was also used more recently to check the MSIV room doorway after a leak was discovered. Scope work was conducted to determine the condition of the MSIV room where small leaks were found. No work has been done to further inspect the torus room or to inspect containment on unit 3. A muon scan is eventually planned but has no scheduled date yet. Right now very little is known about unit 3. Without any substantial inspection work, the condition inside containment of unit 3 is a complete mystery. Water leak pathways for the three units are also not well understood. There is some assumption of a plume of contaminated water leaking from the unit 1 turbine building. TEPCO currently hopes that the frozen wall and soil solidification work would help stop this from reaching the sea. Unit 2 has been a complex and confusing situation. Highly radioactive water continued to leak into a sea front trench even after the connections to the turbine building were sealed off. This raised concerns about uncontrolled contaminated water leaks further underground. TEPCO has now begun work to concrete in these tunnels near the sea front in an attempt to block contaminated water from leaking out to sea. With the true mechanism and source route of these leaks not understood, these efforts may just cause water to find a different route. Rain, spring thaw and typhoons have also proven over the last four years to accelerate contaminated water problems at the plant. Increases in contaminated water readings at the plant have been seen when water related weather occurs. During the first two years of the disaster numerous typhoons crossed over or near the plant. The impact of this runoff was not publicly disclosed. Subsequent years showed that events like typhoons or heavy sustained rain did cause contaminated water to migrate or for dust and debris to migrate with the rain. It was only within the last year that TEPCO began taking steps to prevent some of the drainage runoff at the plant. The new measures have been admitted in recent months to not contain many routes of contaminated water runoff. The disaster has also generated 258,300 cubic meters of contaminated debris at the plant. This includes debris from the damaged reactor buildings, trees, old protective suits and other discarded materials from the plant. Work to drill under the reactor buildings was cited by IRID (the International Research Institute for Nuclear Decommissioning) as relevant and in need of research. Work had been planned to develop a remote drilling rig that could operate in high radiation environments to drill under the buildings. No updates have been given for this work and it is currently not on TEPCO’s decommissioning schedules. This effort is critical towards understanding the condition of the reactor basemats and any potential leaks below the buildings. Many of the early assumptions have driven the ongoing characterization of the disaster. TEPCO’s initial claims in 2011 of the extent of the meltdowns were considered laughable. Meltdowns were initially claimed to have barely occurred. This was after months of TEPCO denying that any meltdowns had happened at all. 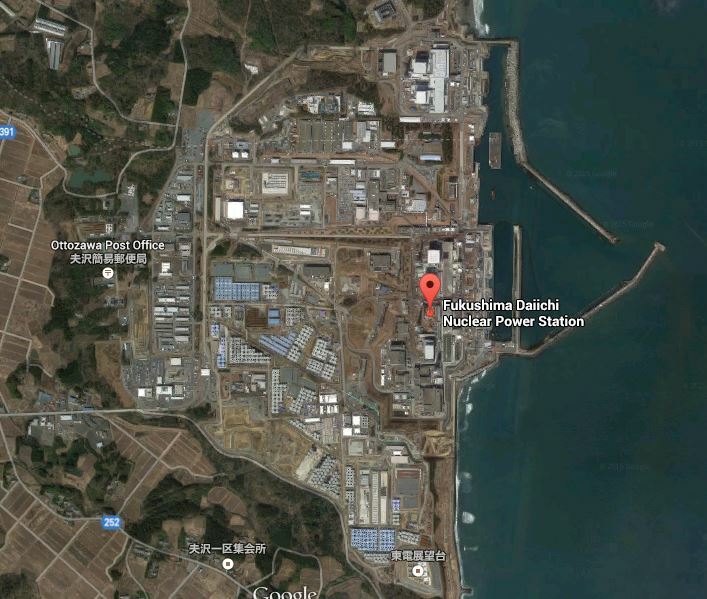 It took until May 2011 before TEPCO even admitted the reactors had actually melted down. Newer admissions and assumptions from various research bodies consider units 1-3 to have fully melted down and that all or most of the melted fuel has left the reactor vessels. IRID’s research is ongoing with the assumption that all three reactors could have full meltdowns with all of the fuel leaving the reactor vessel. IRID also is considering scenarios where the melted fuel has relocated far beyond the pedestal of the reactor containments as a sort of plan b alternate scenario. It is critical that they consider all scenarios as this will drive the decommissioning response at the plant. Along with TEPCO’s early downplaying of the meltdowns they also downplayed the releases to the environment. Of course the two issues would go together. A minimal meltdown would result in minimal releases to the air and sea. What has transpired over time has been TEPCO slowly admitting the problems at the plant have been much worse than admitted before. This information only comes out when TEPCO is backed into a corner by an incident and has no other option. There is no mandatory reporting on TEPCO and the NRA (Nuclear Regulatory Agency, Japan) lacks enough ongoing investigative inspection of the facility to compel TEPCO to admit what they know. Unfortunately, these early numbers and reports have generated a considerable amount of studies, reports and responses that are still in circulation without being updated with a more current understanding. Over time there have been a number of studies that used existing data to try to back track releases from Daiichi, these found TEPCO’s initial admissions to be far too low. Many studies, reports and dose estimates using those early numbers continue to confuse the issue. Some newer works also use those old numbers that underestimate the impact of the disaster. Estimates for Pacific sea contamination including the sea plume circulating towards the North American west coast are almost exclusively based on these early low estimates. The circulation routes and timing would not change, the projected radiation readings would. The levels of projected contamination and duration of incoming contamination would both need to be changed to reflect the new understanding that the releases were higher and much longer lived than the initial disaster. The rational response would be to continue sea monitoring over the next decade rather than gathering a few initial samples and making a premature declaration that there is no problem at all. There has also been a problem of disingenuous discussion of the risk to the ocean. Many talk only in terms of extremes such as human serious illness or death from Pacific contamination. The exact concentrations of contamination over time need to be public information so it can be discussed in a rational manner. Plume projections from various studies cite that the start of contamination arriving on the west coast would begin in late 2013 with levels increasing over the next decade to a higher level before eventually dropping back down. Testing over the next decade would both increase scientific understanding and give transparent disclosure. The public deserves honest unbiased information without misleading or inaccurate assumptions. People still struggle to find reliable information about the disaster and how it is impacting the environment and people. With many players who benefit from downplaying these impacts, finding information that is useful and easily understood has been difficult, even four years later. Japan’s government still publishes food testing data. How the data is presented to the public may be a bit more misleading. There have been claims that only a small percentage of food is contaminated or that average radiation levels in food is down. In actuality, food testing has been being conducted in a way to create artificially low totals for contaminated or over limit foods. Over time foods that are known to be highly contaminated are tested less and less often. Foods from the areas with the highest contamination are tested less often if at all now. Specific foods known to have higher levels of contamination due to their ability to absorb radioactive contamination are tested less often. If contamination in food samples is actually going down or not is hard to determine as the testing has changed so much, year to year tracking of a same food item is nearly impossible. Meanwhile there are large numbers of food tests being done on food products that are unlikely to be contaminated. Beef tested in far flung prefectures that had little or no contamination are published in large numbers. These outnumber potentially contaminated foods and of course show no contamination. They also drastically change the total numbers when converted to percentages of all findings or other testing totals. Many of the very worst food products have been banned from sale or consumption, such as wild vegetables, mushrooms and wild game from the areas closer to the plant. This is a logical protection measure, but it means they are now excluded from all testing. The combination of not testing certain foods and over testing others creates a skewed understanding of overall food contamination. Sea testing near the plant does not include testing at varying depths. It is well known that a significant current exists offshore of the plant that may serve to carry contaminated water away from the plant or rapidly dilute it. There have also been no recent tests of water at lower depths or of the silt and sand in the impacted areas. Offshore findings have seen low but consistent levels of beta radiation. This may be an indicator of contamination but may not give a full picture of contamination and leaks at the plant. Newer admissions that contaminated water has been known to leak from open drainage ditches at the plant yet nearby sea monitoring did not catch it shows that current monitoring is insufficient to detect changes at the plant. Air releases were also found to not be sufficiently detected at the plant. During demolition work on unit 3, large volumes of contaminated dust blew off site. Only one detection meter on site went off for a brief time. That was not immediately connected to the demolition work and was initially assumed to have been contaminated water in a worker cooling station. Months later TEPCO admitted the extent of the dust release after a research crew found increases in contaminated dust in Miyagi prefecture. TEPCO admitted this dust release was the largest release to the air since the initial disaster. The incident caused the NRA to put further restrictions on similar work at unit 1 to try to prevent the same thing from happening again. Studies and reports attempting to downplay the impact of the disaster on people have also been an ongoing problem. UNSCEAR studies repeatedly calculated exposures by including those who were exposed among those who were not. By taking residents of Fukushima prefecture and mixing them into the entire population of Japan, they were able to present insignificant cancer risk projections. The international press dutifully repeated this fallacy. A 2013 paper reporting on the internal exposures of residents of Hirata claimed that the body scans of local residents proved that estimates of exposures in Fukushima were over estimating exposures. What the paper fails to mention is that Hirata is in a pocket of much lower radiation than these other areas in Fukushima prefecture where people were exposed. These lower exposures found in Hirata can not be applied to people in other areas of Fukushima prefecture where radiation levels were, and still are considerably higher than in Hirata. The Fukushima Health Survey estimated residents external exposures based on SPEEDI data taken in early 2011. The first three days of the meltdowns were estimated using the early government assumption of the source term radiation releases from the plant as no actual monitoring data was available during the height of the meltdowns. The graphs for the related study showed extremely low radiation levels estimated for those first three days. This includes the time during the meltdown and venting of unit 1, unit 2’s unfiltered venting and the explosion of unit 3. The study admits that these estimates may be too low and might need to be recalculated later on to better reflect what is known over time about the actual releases from the plant. There has been no announcement that those estimates have been recalculated since their 2011 inception. This lack of certainty in the data used may have drastically underestimated the external exposures some residents received. Internal exposures were not included in these dose calculations. There have been many efforts to prematurely declare the outcome of the disaster. The reality is that not enough data is available in many cases to make such predictions. In other situations old, inaccurate data is still being used, leading to inaccurate projections. Most of the environmental and human outcomes need longer ongoing monitoring or data collection to really understand the impact. It does raise questions about why some are so quick to make big predictions when it is clear that insufficient data exists to do such a thing. 120,000 people remain evacuees, with 79,000 of them from the mandatory evacuation zones. 60% of those evacuated remain living in small temporary housing units. Other former residents have moved or have purchased homes elsewhere and do not plan to return. A recent poll showed only 10-20% of the residents have any intention of ever returning. 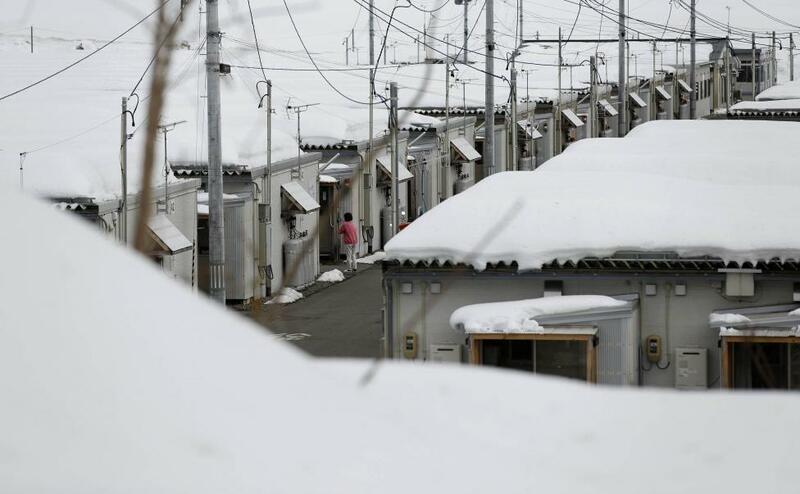 The crowded and small temporary housing units have proven to be a stressful environment to live in. They have contributed to health problems for the children living in them as more sedentary activities have been used to keep kids quiet in the crowded conditions. Adding to the problems, evacuees compensation programs are set to run out next year. The Japanese government has continued to push the idea of reconstruction and returning residents to the evacuation zone areas. Basic infrastructure is still lacking such as schools, medical facilities and shopping. Compounding the problem is that over 1700 businesses have been lost so far due to the disaster. Decontamination work has been mostly unsuccessful with many areas either re-contaminating or not seeing sufficient results. Even where people might consider returning, many times the homes are now uninhabitable due to mold and structural damage. With such large numbers of evacuees unwilling to return it raises questions if reconstruction of the evacuation zone region is a wise expenditure. Rarely discussed is the risk of returning people to areas close to the disaster site. Last year radioactive dust was released from the plant during demolition work at unit 3. Any additional emergency or major release at the facility could put those returning at risk. 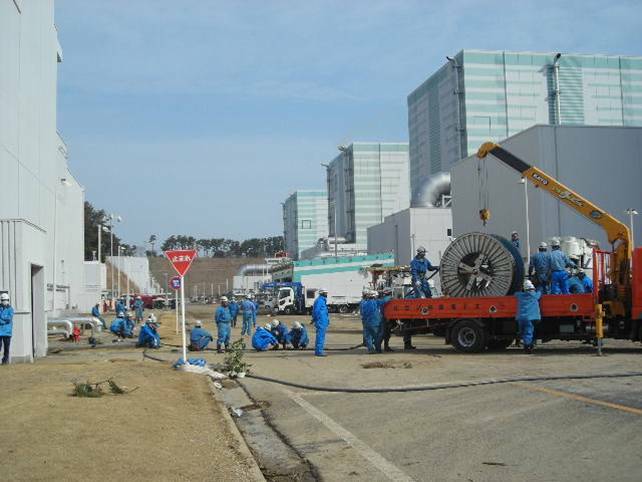 Currently 71% polled are not happy with the disaster response at the Fukushima Daiichi site. 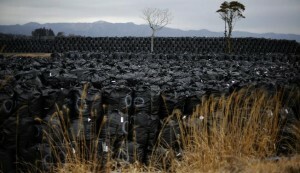 A contaminated soil dump has been established near the Fukushima Daiichi disaster site. The dump spans between Okuma and Futaba, the two towns that host the now destroyed nuclear plant. Reuters reports the volume of contaminated soil slated for this dump at 30 million tons. No permanent location for the soil has been found. The temporary aspect of the dump is based on the word of the government that they will not later change the status. It would not take a large change to later allow the dump area to also accept other contaminated wastes or to make the dump permanent. 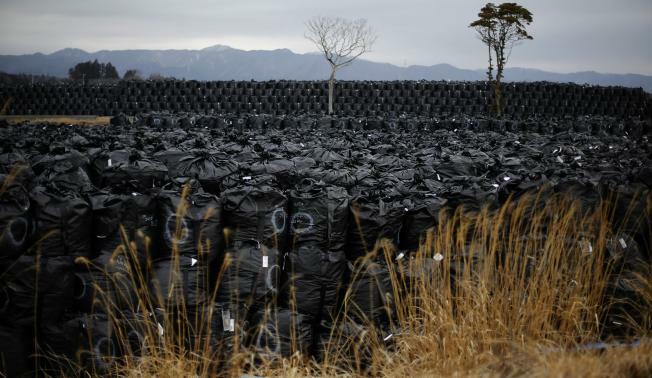 The plastic bags in which much of the contaminated soil is being stored have a short structural lifespan expectancy. The big blue and black bags seen stacked all over the countryside have a roughly 3 year life span. There is urgency to move them out of residential areas and locations where run off could happen. There is also no explanation how soil stored at the new dump would be prevented from leaking contamination as bags begin to degrade. While real challenges to help people re-establish their lives exist, much of the official effort has been in superficial activities that do little to actually help people. Considerable press has been given to the reopening of towns on the edge of the evacuation zone, even though few choose to return. Public events to showcase Fukushima grown foods have been heavily promoted to the press. An airline is featuring Fukushima grown foods and Fukushima food events have been held as part of cultural exchange events around the world. The 2020 Olympics have also proven to be a PR tool. 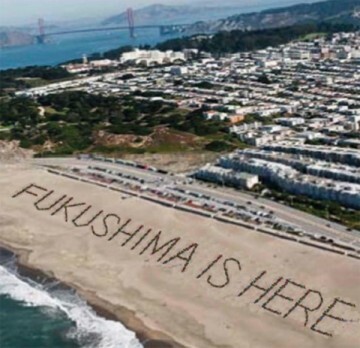 The games set to be held in Tokyo were won by some disingenuous promises of PM Abe that Fukushima Daiichi would be a contained problem by then. This was quickly proven to be false as new problems at the disaster site came to light then and again in early 2015. With the Olympics secured, the government has pushed to move portions of the games to Fukushima prefecture, something that would have likely ruined any chances of securing the games if it had been disclosed during the decision making process. Efforts are now underway to move soccer events to J Village, just down the road from Fukushima Daiichi and baseball to Fukushima City where hot spots remain a problem for the city. These PR efforts have clearly been the priority of the government while actually helping people has been almost non existent. Four years since the disaster have shown many things yet two stand out. The disaster itself is a massive challenge that has impacted every facet of life in the region and the global impact is still being understood and that Japan’s government has chosen the interests of old entrenched industries as their priority.